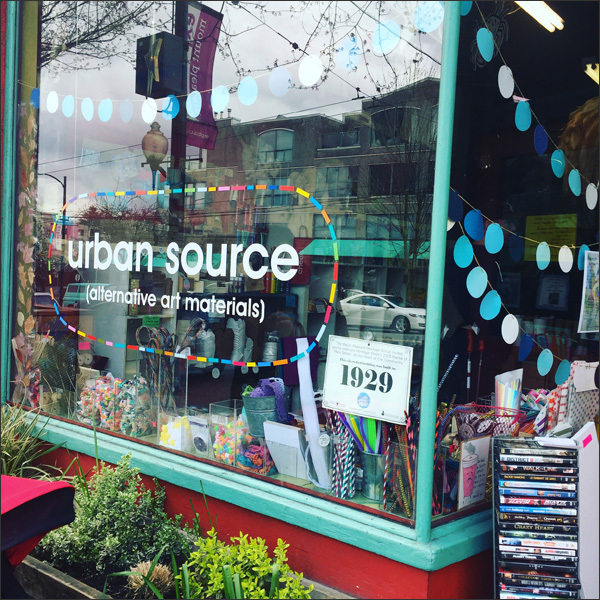 Nothing inspires crafty, upcycling awesomeness more than a visit to Urban Source on Main Street. Whether you get a goody bag, paper, stamps or all of the above - you'll never leave without something and something super kewl. 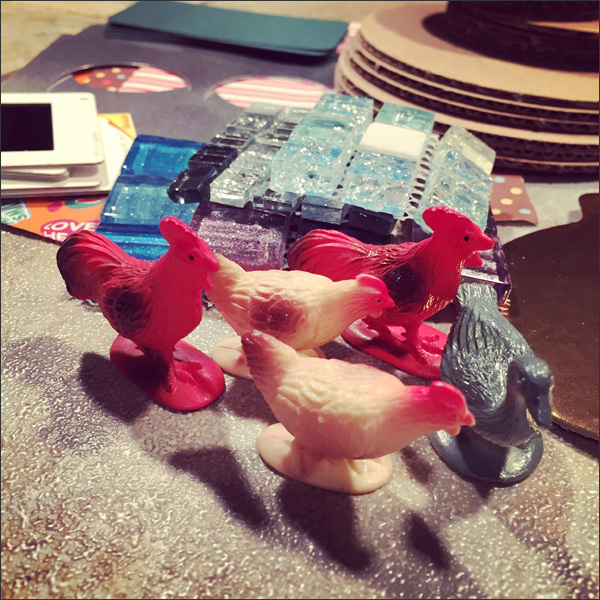 The plastic animals were the treasures I decided to start with. 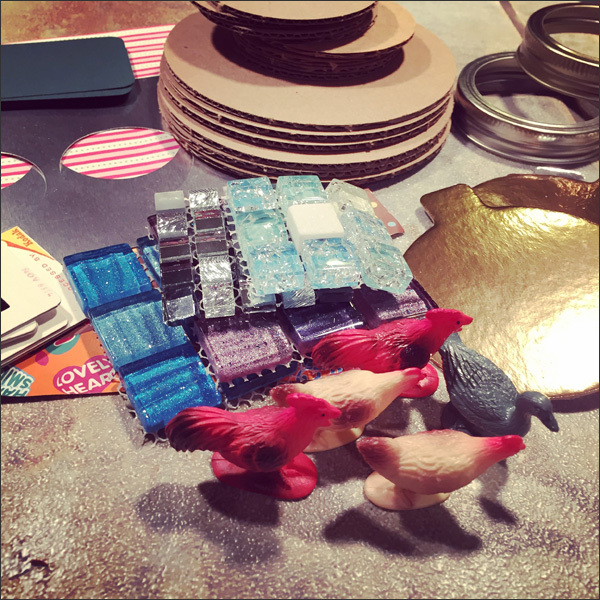 The animals and the Mason jar lids were calling me. The tiles would have to wait for another day. There's definitely something kewl I could do with them too! 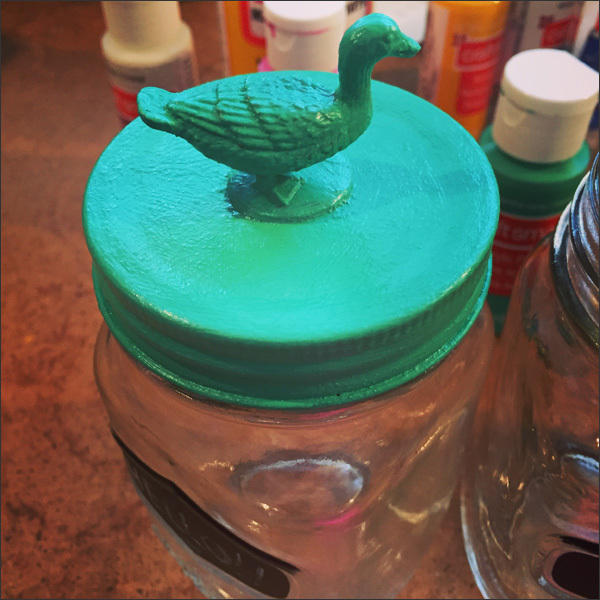 My plan was to glue the animals to the Mason jar lids then paint them a fun colour. I've seen this DIY everywhere over the years and this weekend was my chance to try it! 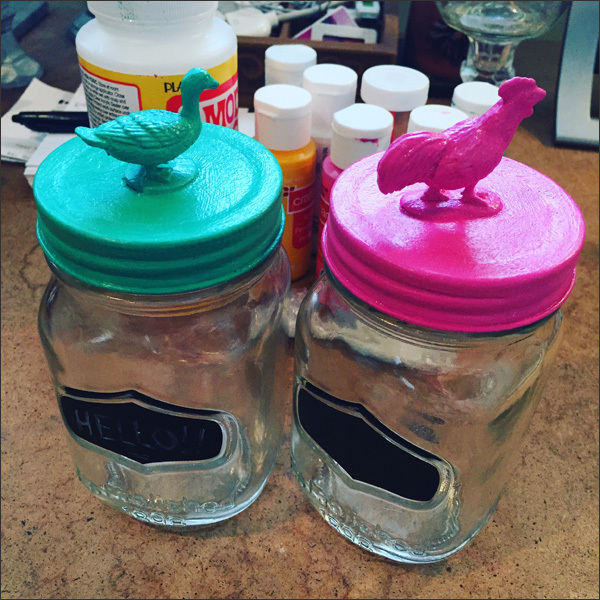 I used Mason jars from the dollar store - the lids from Urban Source would be used later. 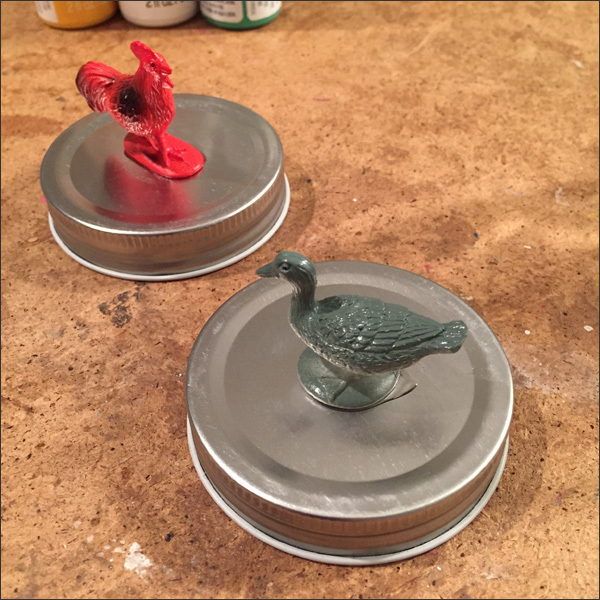 First step was gluing the plastic animals to the lids. 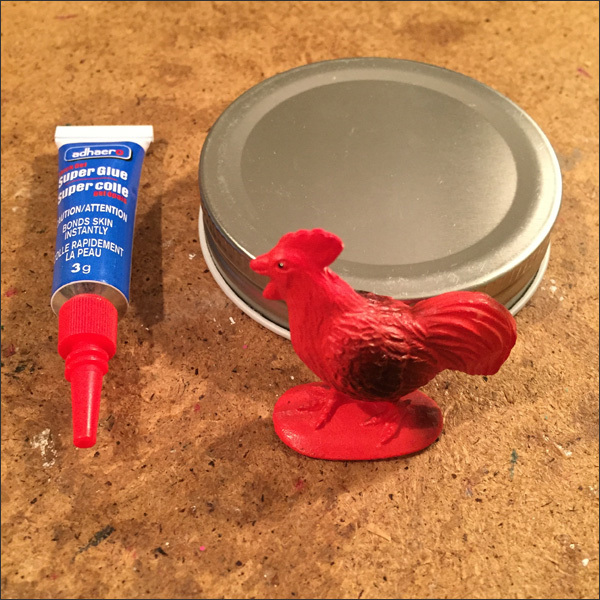 I added super glue then placed the plastic animal in the centre of the lid... Next was waiting for the glue to dry. 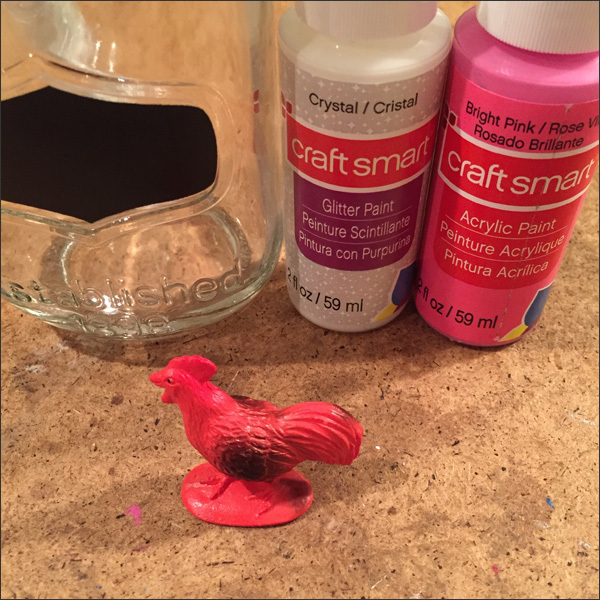 Once the glue dried, I added a few coats of craft paint to the lid and plastic animal. I also mixed in some glitter paint. You'll need 3-4 coats to create a solid finish. 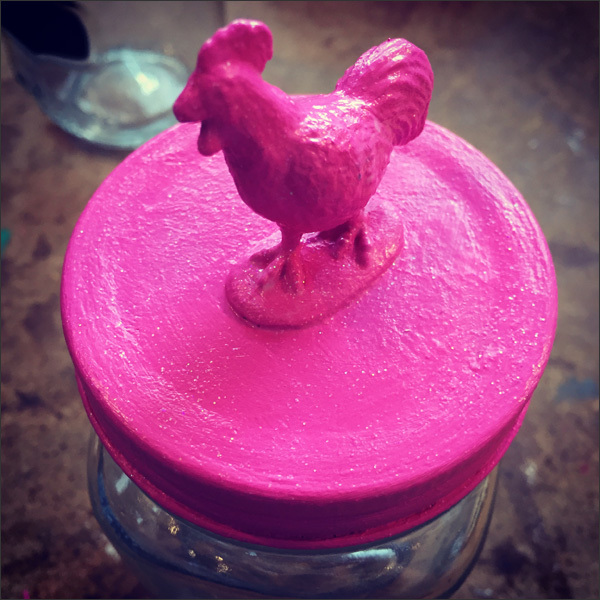 One lid I painted a teal and the other pink... And of course a bit of glitter. 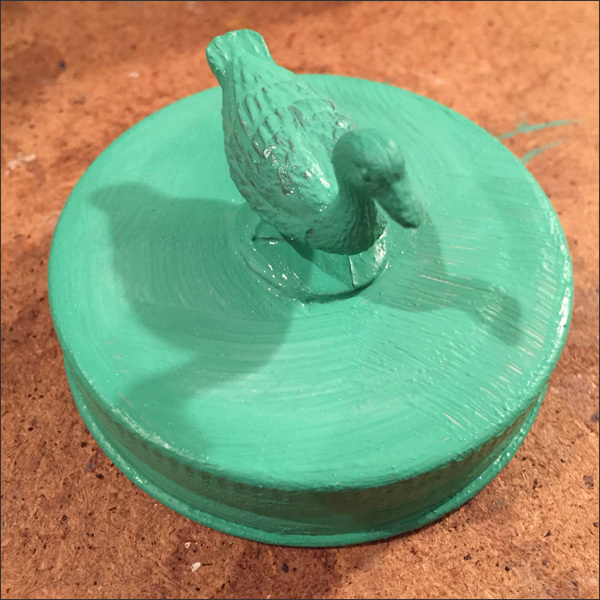 Once you have a solid paint finish then seal with Mod Podge. And then you're done! Super cute reusable packaging for candies, cookies, toys, etc. 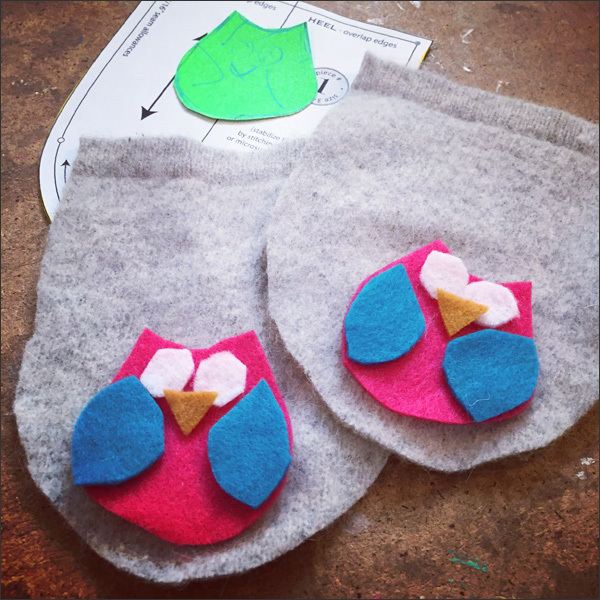 Next I made a pair of upcycled wool sweater baby booties for a coworker who was going on mat leave. 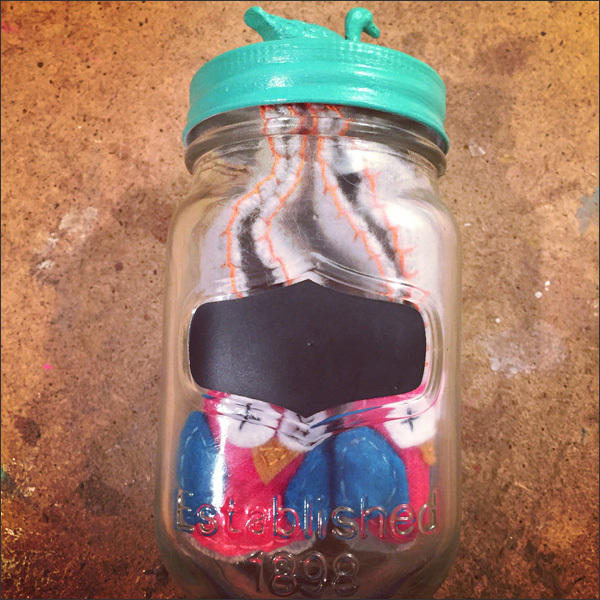 I thought the baby booties 'wrapped' in a Mason jar would be a super cute gift for her. 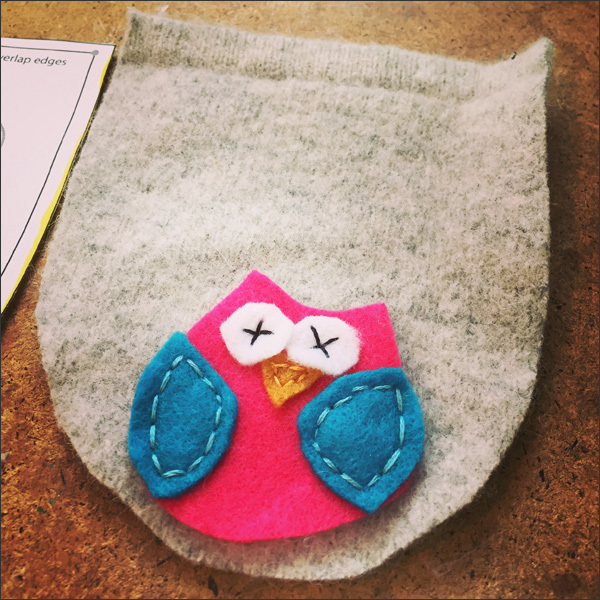 I of course went with a felt appliqué owl in bright colours. Here they are! 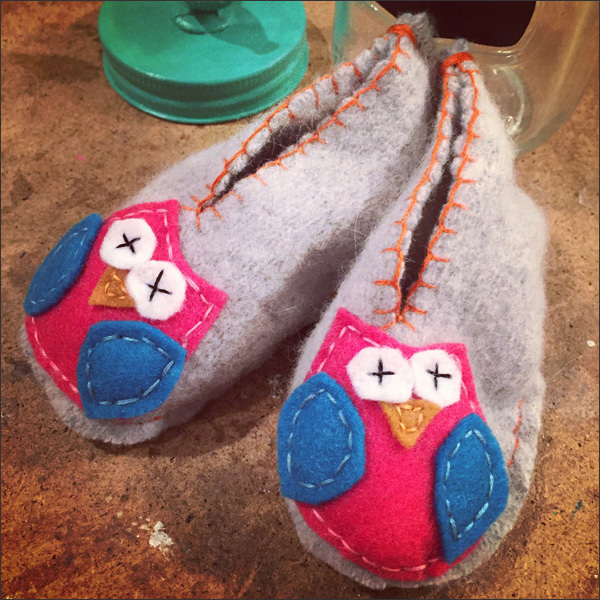 A light grey base with pink, blue and orange stitching. 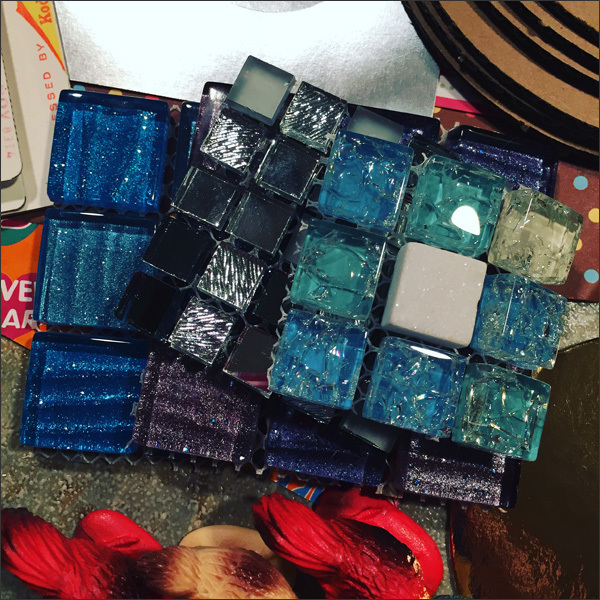 Here's the final giftie - big time upcycling project success! Love the jar... It's the perfect packaging for the booties. Stay tuned... This is another addictive DIY so I made more of these. I may have to go back to Urban Source for more plastic animals!